Of all the lost cities that have been found and studied, perhaps none is more mysterious than Machu Picchu. Isolated near the Urubamba Valley in Peru, the city was never found and plundered by conquistadors, and it was not until historian Hiram Bingham visited it in 1911 that it became known outside of the region. The city is divided into districts, and features over 140 different structures bordered by polished stone walls. It is said to have been built in the 1400s by the Incas and abandoned less than 100 years later, most likely when its population was wiped out by smallpox brought over from Europe. 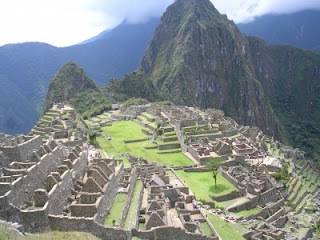 There has been much speculation as to what Machu Picchu was used for, as well as why the Incas chose such to build it in such a strange location. Some have said it was a holy temple of sorts, while others have maintained that it was used as a prison, but recent research suggests that it was probably a personal estate of the Inca emperor Pachacuti, and its location was chosen because nearby mountains figured prominently in Inca astrological mythology.